Philadelphia is located in the state of Pennsylvania. With Washington DC and New York only a couple of hours away, it is a busy vibrant city with lots to offer. Famous for the Liberty Hall where the declaration of independence was signed, its name means the city of brotherly love. The weather is generally warmer than Ireland, with summer days averaging around 26°C and winters rarely dropping below 2°C. Relocating to a new city is always a big step, but moving to a new continent will require a much higher level of planning. To keep things as easy as possible and avoid stress choose a reputable professional International Moving company with plenty of experience in international removals. At Get Cracking we can provide all the help you need. Before you decide to move, here are some of the things you might want to think about. Housing costs depend on which part of the city you decide to live in. Renting out of the city center is cheaper and there are many lovely suburbs to choose from. Flats start around €1000 for one bedroom in the city center. But the same type of property out side the city centre starts at € 650. You may well be moving to take up a new job, but if not, employment prospects are good – assuming you have the necessary paperwork. The top industries are construction and manufacturing. Local government is a major employer and new companies are increasingly expanding into the city. Philadelphia is a great city for families. You will enjoy outings to museums and the zoo and a rich cultural life thanks to the city’s excellent theatres and concert halls. One of the most popular places for families to live is Chestnut Hill which has excellent schools and parks. Expect to pay €10 – €18 for a meal in one of the cheaper restaurant: €2.50 – €4.00 for a pint of local beer. The city’s transport includes trains and buses as well as trolley buses which are like trams which do not run on rails. You can save money by buying all day and season tickets and family passes. It is the perfect city for cyclists, with 435 miles of cycle lanes. You can drive with your European driving license initially but will need to get an American one within 12 months or 30 days if you are a student. Visit our website and arrange to speak to one of our friendly staff who will help you to make all the arrangements for a successful move. 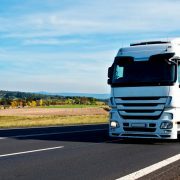 Removals From Dublin To Edinburgh Scotland Motorcycle Shipping From Dublin – What Is The Best Way?